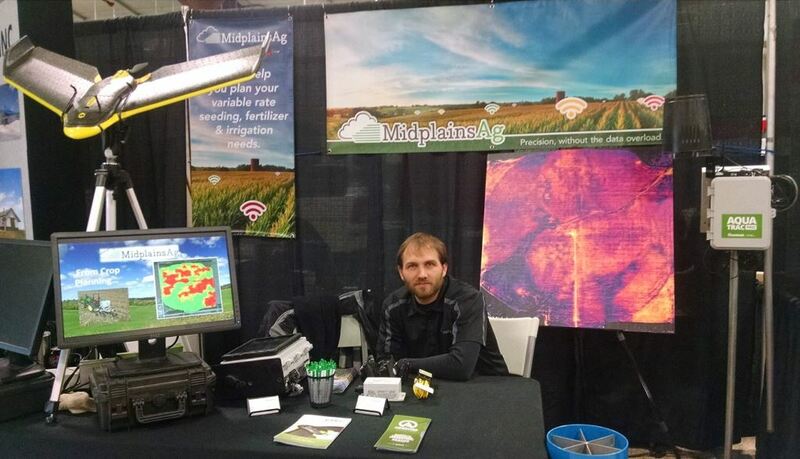 This week Midplains Ag had a booth at the 2nd Annual Antelope County Ag & Home Expo on March 1st & 2nd. Thank you to Neligh Chamber of Commerce, Antelope County News, and KBRX Radio for putting on a great show. I would say it was a very well run show. A special thanks to the visitors this year, as attendance was definitely up from last year. I hope that it just keeps getting better and better. It was a good mix of home vendors and ag vendors that filled all the booths. We are getting to be a pros at going to farm shows. Only took us 10 minutes to load the pickup at the office and about 30 minutes to get the booth set up when we got to Neligh. We are getting more efficient at tear down. We were on our way home from the show about 7:30 and the show got over at 7. We also made some vendor connections that will be valuable in the future. Getting to know the businesses around the area is great. We promoted our Irrigation Management Field Day some with the advertising and our time at the show. I had the opportunity to connect with potential field day sponsors all in one place. Getting those contacts all at once will be a big-time saver here soon.